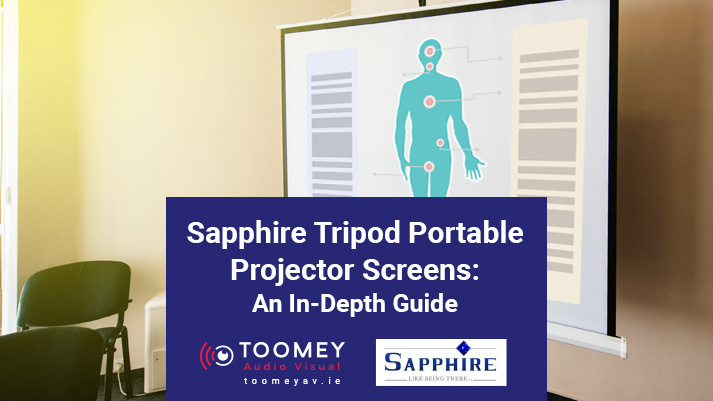 Toomey AV is a proud supplier of Sapphire tripod projection screens. Ideally suited for education and business presentations, this 1.5 metre stand mounted screen is designed to pull up and hang from an integral back rest. To retract, you simply unhook the screen from the back rest and the fabric is pulled back inside the casing. This tripod projection screen boasts high portability, an exceptionally rugged stand and handsome aluminium black casing. 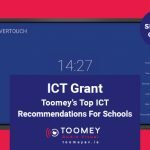 Okay, so now that we’ve looked at some of the specs of this excellent system, it is time to pull back and see how this screen works in a business or educational context. Everyone knows that education doesn’t stop at the end of school or college. It continues into the workplace. We are expected to do the best job we can possibly do, and this is aided by education and structured learning. So, there really is no line between education and business as far as using this tripod projector screen goes. Both are served by it in the same way. 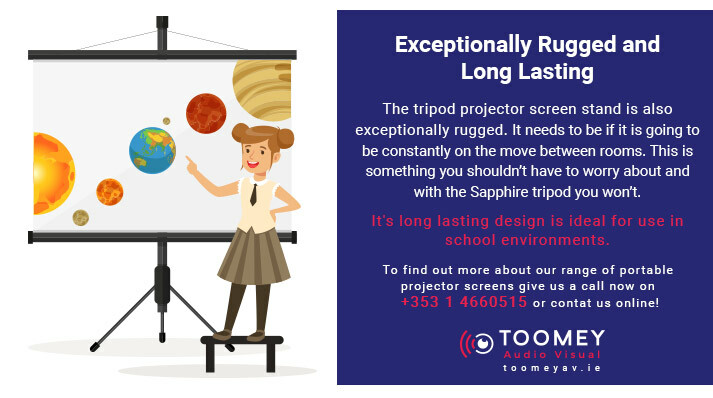 Probably the most convenient feature of the portable projector screen and stand in the context of a fast-paced learning or business environment is its portability. It can be transported from one room to the next without any hassle at all. This is the beauty of the system. By being able to bring the screen to the students / workers instead of bringing the students / workers to the screen, you take a major leap forward in terms of convenience and ease. The tripod projector screen stand is also exceptionally rugged. It needs to be if it is going to be constantly on the move between rooms. This is something you shouldn’t have to worry about and with the Sapphire tripod you won’t. It’s long lasting design is ideal for use in school environments. The casing is very handy and by simply unhooking the screen from the backrest, the fabric is pulled back inside. There is no cumbersomeness whatsoever. It’s as easy as carrying a rolled-up newspaper with you into the class room or training room. Indeed, the independence and mobility the screen affords make it an ideal teaching accessory. 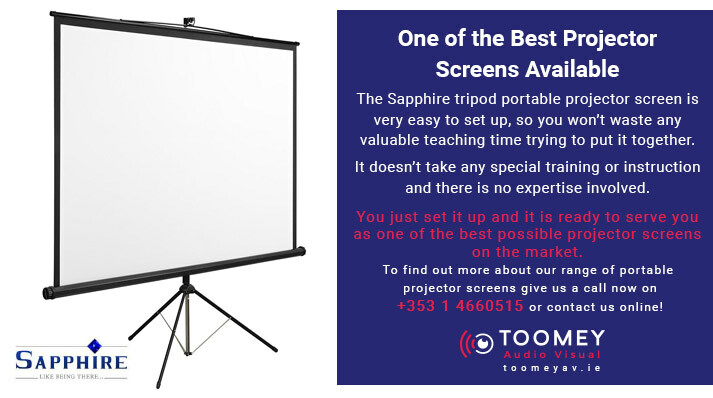 The Sapphire tripod portable projector screen is very easy to set up, so you won’t waste any valuable teaching time trying to put it together. You simply pull up and hang the screen from the backrest and you are good to go. It doesn’t take any special training or instruction. There is no expertise involved. You just set it up and it is ready to serve you as one of the best possible projector screens on the market. 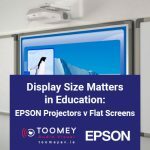 If this sounds like something you could use, contact Toomey AV today by calling +353 1 4660515 or contact us online we can talk about it. Our friendly staff are ready to help and advise you on this or any of our products.